One night only, here in Auckland and you're invited! Mike Reilly the voice of endurance events all over the world is in Auckland for one night only—sharing his inspirational stories and insights. Hosted by New Zealand endurance racing legend—Cameron Brown and presented by Auckland City Triathlon Club. Inspiration and Endurance events are Mike Reilly’s life! 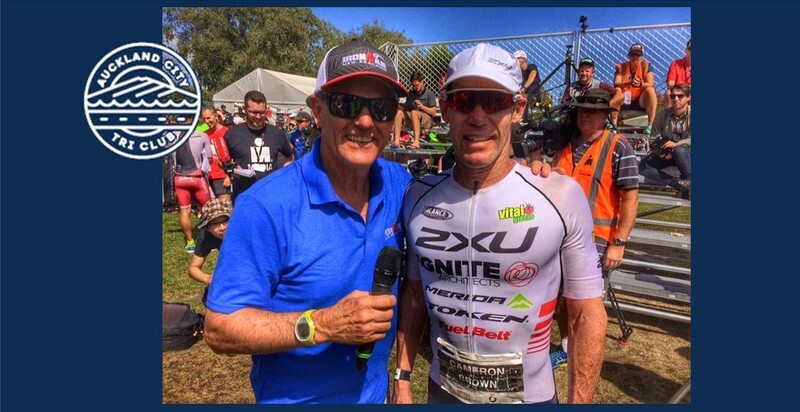 He has worked as an on-site announcer and TV host for Triathlon, Running, and Cycling events worldwide since the late 70’s. This has placed a microphone in his hands at over 1200 endurance events around the globe. Hear Mike share some of his inspirational stories from the World’s most famous finish lines, he is currently writing a book titled Finding Your Finish Line. Mike will be joined by endurance racing legend (and longtime Auckland City Triathlon Honorary Club member) Cameron Brown. In the week leading up to Ironman NZ number 21!, Cam has been instrumental is creating this opportunity and will be there to host (and correct any errant stories...or add his own touches). Tickets include light snack of carvery roll and salads (vegetarian option). Cash bar available. Thanks to Cameron Brown and Mike Reilly.